I dread making lunches for my kids’ lunch boxes. I struggle to find easy lunch box ideas. Dinners I can do, but for some reason, lunch is hard for me. If it is not a sandwich – I’m out. And what about all those veggies and fruit I would love for my kids to be eating? A lot of time I get overwhelmed and just give in to school lunch. But this year I want to change. I want to send my kids to school with healthy lunches that they will actually eat. I went on a quest to find ideas and products I would need to help me succeed and I want to share them with you – maybe you will find they will work for you too. I am in a sandwich rut. PB&J anyone? I needed some serious ideas on what to pack and I wanted them to be healthy. I found this book on Amazon that had awesome reviews so I ordered it – LOVE it! It has SO many great ideas and recipes for easy lunch box ideas. The thing I really love is it doesn’t just have recipes, she also gives great ideas on how to expand her lunch box ideas for kids to make even more possibilities. My mind is spinning with healthy lunch box ideas after reading the book. Ideas are no longer a problem. #2 What to pack it in? I wanted to do my part and not use a ton of plastic bags every day so I bought lots of containers. After a while, I had lids and bottoms but none of my lids ever fit the bottoms. So frustrating. I was so excited to find these Easy Lunch Boxes. Where have they been all my life? One bottom. One lid. YES PLEASE. The thing I like most about these is it helps me visualize what my kids need to pack. A spot for fruit, a spot for veggies, and a spot for the main. You can also get little containers to use for dips if you want. They fit perfectly in these cooler/lunch packs. Throw your lunch in, an ice pack, some water and run to catch the bus! This is a new lunch box that was just released. People have been raving about it because it allows your to pack hot and cold things together! It’s called the OmieBox. Another of our personal favorites is Planet Box. It’s a little more of an investment, but they will last FOREVER. They’re super easy to clean because of the steel material and my kids choose these time and time again. They’re convenient for me because I can throw a little of this and a little of that in there, saving me money at the grocery store on prepackaged foods. #3 Supplies taking over your kitchen? Gather everything you need to use in packing every day and put them in one place. I found this turquoise cart and I am loving it. It is on wheels so I can slide it in and out of my pantry. But you could use anything – just corral it all in one spot so it will be easy to grab what you need when you need it. On the bottom shelf, I put the lunch bags and water containers. On the middle shelf, I put napkins, forks and spoons, the Easy Lunch Boxes and dip containers. #4 Forget to use your fun lunch box notes? On the top shelf, I put a little container with pens and post-its for writing notes or reminders to slide in the kids’ lunch boxes and some washi tape for fun. Also, find a little spot for your printed out lunch box notes. Cut them all out so they are ready to throw in. You can get our collection of lunch box notes, here! And the magnetic holders, here. #5 Mom can we have a treat? Sure! Organize a collection of little treats so kids can easily pick one and throw it in with their lunch. Hopefully my new cookbook will help me eliminate these packaged foods I currently have, to more healthy homemade ones. One more shot of what I am now calling the lunch box cart, this time with the treats on top. Can you tell I’m a bit excited about this? Now that you are all organized and prepared with easy lunch box ideas, I have one more recipe book I want to share with you. 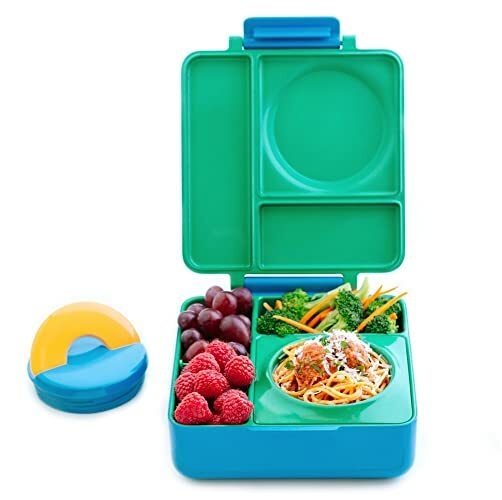 I just ordered it when I ordered the lunch box one and I am loving it as well! It is teaching me and reminding me about how important home cooked, nutritious meals can and should be. I rely too much on packaged food and am trying to use more fresh ingredients and less packaged products with ingredients I can’t pronounce. If you have the same desire, this book is a must have. Rolling Cart. I got mine at IKEA but I found one here too! Easy Lunchboxes – these make packing lunches so much easier! Klean Kanteen. Water stays SO COLD in these. LOVE THEM! Happy Lunches Here We Come! What are your best easy lunch box ideas? Wow, what a wonderful inspiring article, I also like stylish and colorful kids lunch bags that children loves so much. Awesome post! Lots of useful tips and thanks for sharing the links to those books. I need to get my read on! So cute! I love the station idea and I need those recipe books asap! thank you so much for including The Best Homemade Kids’ Lunches on the Planet!! I am thrilled to be able to provide you with lots of lunch ideas for the new year! Oh my gosh Missy. That cart is too much. I’d like to buy it off you. Filled. As is. 🙂 So cute. THanks for the inspiration. So stinkin’ cute! I have that same cart from IKEA and now I have an idea what to fill it with. Thanks for all these helpful tips!! I’ve been using “easy lunch boxes” for a few years now and LOVE them. The only exception, mine are ziplock brand and can be found in any number of stores including grocery stores, Target and Walmart. I picked up several packs of three and throw them in the dishwasher every night. It reduces the amount of trash we use and like you, I can visualize portion size and food better. Just be sure to find a lunch bag they fit in (which wasn’t hard for us). Thanks for all the great tips! Love the cart idea. This is super great stuff Missy! Almost makes me excited for school to start………. almost. Thanks Missy for some great ideas! That cart is one of my favorite things at IKEA and NOW I have a reason to purchase it!! My bag lunch tip is all refrigerated items are placed in one of the drawers……Laughing Cow wedges – use 1/2 a wedge on sandwich rounds, deli meat ( I know, but my hubby loves it), baby carrots, celery (wrapped in foil – keeps for 2 weeks! ), spinach and string cheese. I am able to pull it all out quickly in the morning to make by hubby’s lunch. Thanks for a great ideas! I love the Best Homemade lunches. I have subscribed to her Momables meal plans for a while. Very helpful Love the cart idea! I bought lunch boxes from planet box 3 years ago. Love them. They still look new and so easy to pack. I still keep a basic lunch bag for soups and smoothies. Where on earth can I find the blue “snack caddy”? I love it. I found it at Ikea! Where is the blue & orange “back pocket’ style lunch notes holder from?! And is it sticky? It is just adorable!!! Have you managed to reduce your reliance on pre-packaged processed foods? Between those and the disposable utensils, you’ve got a lot of waste happening. I use reusable containers (my oldest is going into grade four, many of my containers I bought when he started kindergarten) and bags (such as Lunchskins), and have some Lego-style cutlery (by Fred & Friends) for the kids to take to school. 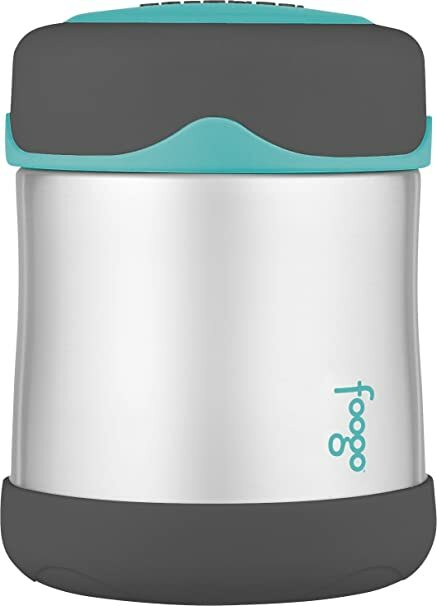 Reusable bottles for water, too, and thermos containers for hot food. I make and freeze items like muffins and little pancakes and even waffles; they are quick and easy to pop into a lunch. Very little waste, and saves money! And if you haven’t already, check out Weelicious. The granola bars are a favourite here! PS: Beaba Babypotes are great for applesauce,yogurt, and pudding! Which size clean canteen do you use in lunch boxes? The link shows a lot and I couldn’t find the one like in the picture. Me encanta todo lo que esté relacionado con los niños. Gracias por permitirme llegar a usted y por la gentileza que tiene al enviarme sus mensajes. Back to school season motivates me to be more organized too. I love all your awesome tips. To answer your question, how do I simplify? I taught my kids to make their own lunches (because I hate it too). K and up, they pack their own, I provide the healthy options! And you know what else? They LOVE it! It’s a win win. But what else could I use that cart for, it’s SO cute!! Yes! I have started having my kids make their own as well – keeping the fridge stocked with healthy options and having all the supplies organized and handy, helps out a ton!